To satisfy the clients completely, we are offering a wide range of Silver Designer Earrings which are designed by the skilled professionals as per the latest fashion trend of the market. 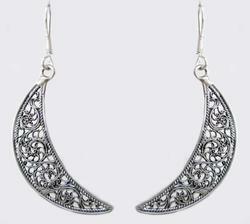 The unique design and attractive look of this Silver Designer Earrings is appreciated by the clients. Beautifully designed, hanging silver earrings can glitter the wearer's personality. 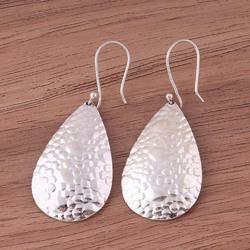 These plain silver earrings can be worn on any occasion. Skillfully crafted sterling silver earrings weighing approximately 15.9 gms.